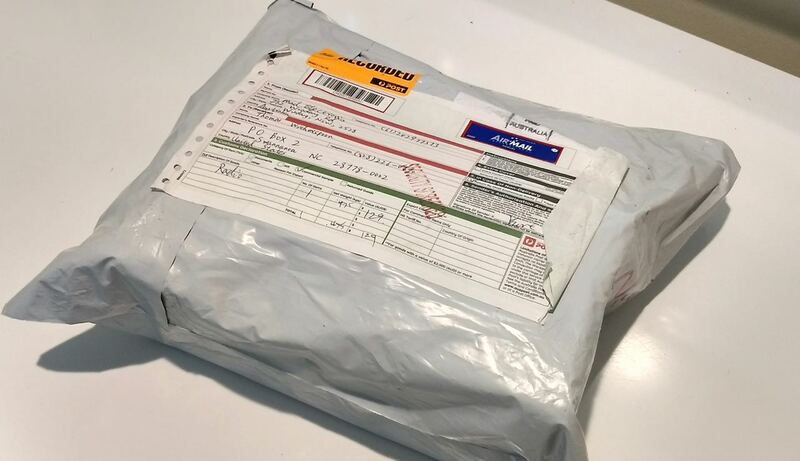 Yesterday, prior to heading out the door for two days of travel, I received the Digitech AR-1780 I ordered ten days ago from an Australian eBay vendor. I’m very pleased with how quickly the order was processed and delivered via the post. 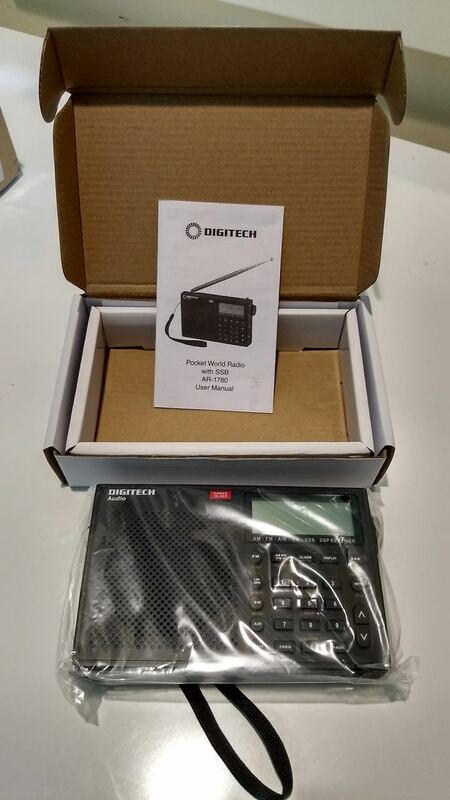 The radio arrived in a rugged mail pouch and was double boxed inside. I’ve had no time to evaluate the radio’s performance yet, but I thought I’d post a few photos I took while unboxing the AR-1780. 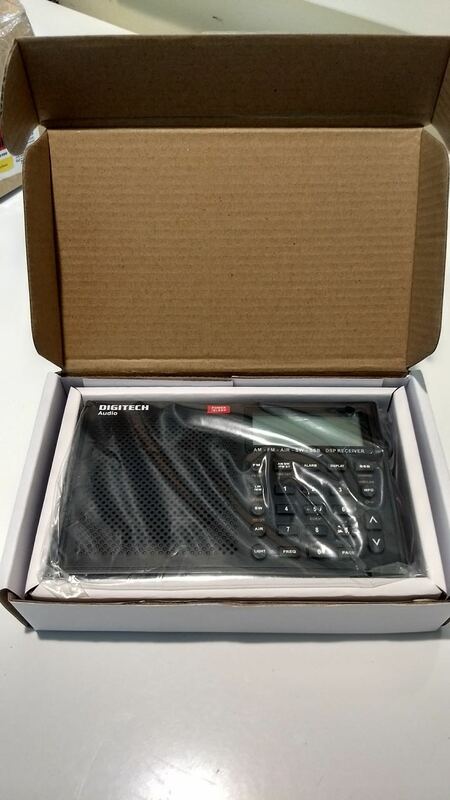 There’s not much in the box: just the radio and an owner’s manual. There are no batteries, no charger, and no case or carry bag. That’s okay though as the AR-1780 takes standard AA cells and I have an assortment of bags that can protect it in my suitcase. The buttons all have a responsive, tactile feel. The hard plastic chassis feels durable. I really like the dedicated fine tune control on the right side of the radio. Nice touch! But 7 VDC in? That’s an odd voltage for a power supply. That’s okay by me as I never use wall wart type power supplies due to inherent noise–rechargeable Enloop AA batteries are how I power all of my portables. Bonus! There’s also a dedicated external antenna jack! 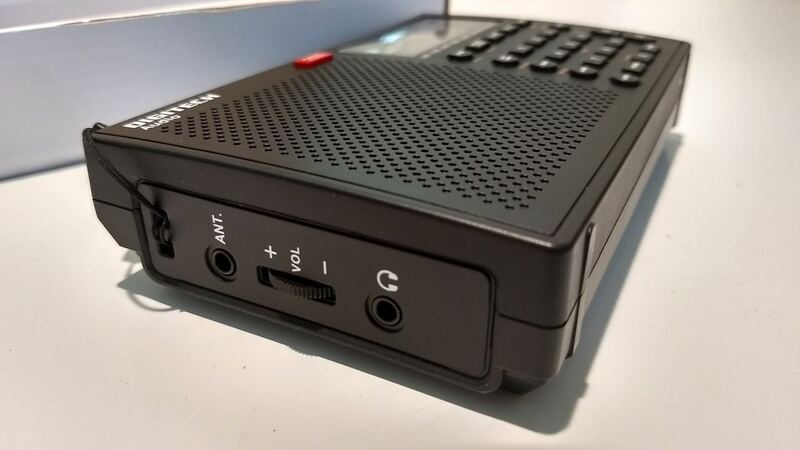 One odd thing, though, is the AR-1780 breaks the convention of having the volume control on the right side of the radio–it’s on the left instead. 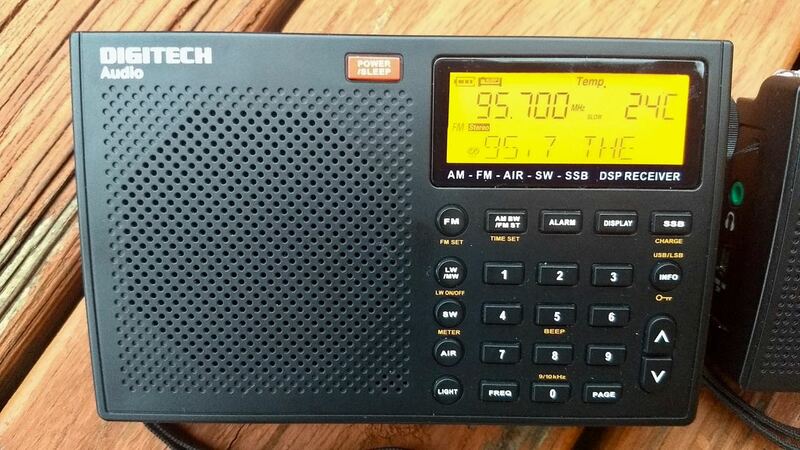 Last night, I tuned around the 31 meter band and the AM broadcast band. I listened to the French language service of Radio Romania International from inside a noisy house–armchair copy. 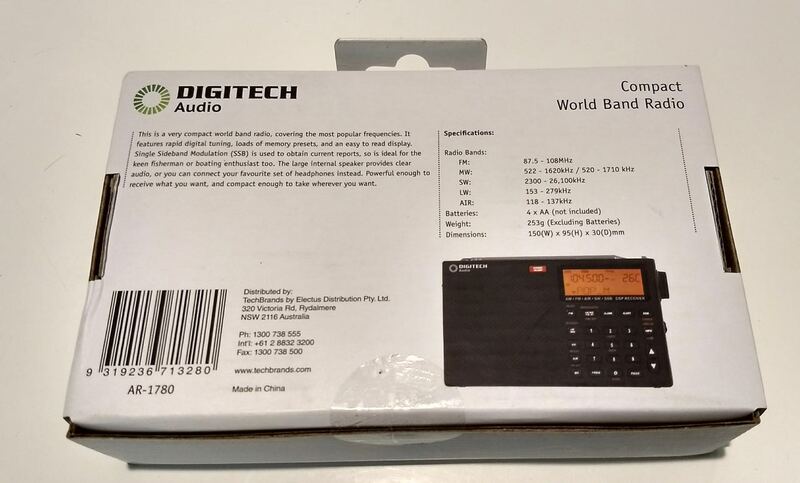 The AR-1780 has an impressive 7 AM bandwidth settings: 6, 4, 3, 2.5, 2, 1.8 and 1 kHz. My radio defaulted to 2.5 kHz, so you’ll want to widen that to 4 or 6 kHz before listening to most broadcasts. 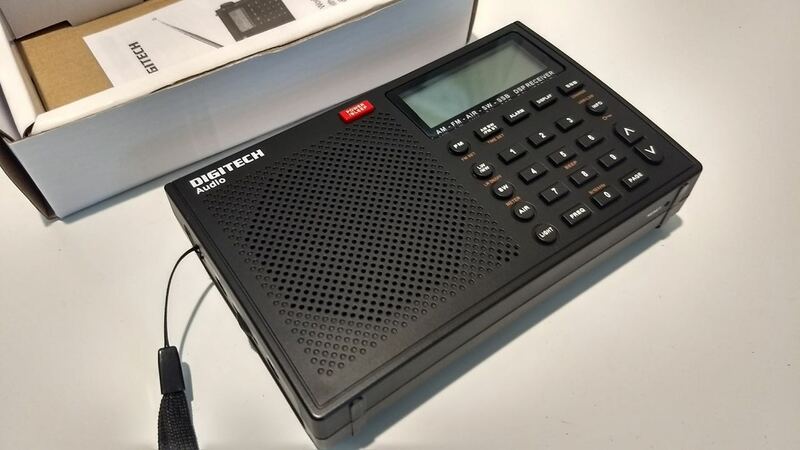 I really like the display–it’s compact, yet contains quite a lot of info and even has a dedicated line for FM RDS content. This morning, I took a couple shots of the AR-1780 next to the venerable CC Skywave. The Skywave is slightly smaller in every dimension. 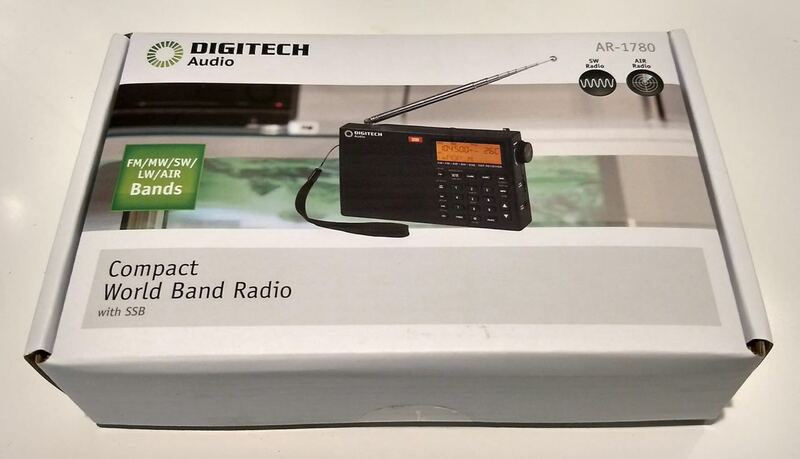 This entry was posted in AM, FM, New Products, News, Shortwave Radio and tagged AR-1780, C.Crane CC Skywave, CC Skywave, Digitech, Digitech AR-1780, RDS on August 15, 2017 by Thomas. I get to buy these instore from Jaycar and at present they’re 25% off at AUD99.00. They do offer mail order, but I can’t say where they ship to. Try http://www.jaycar.com.au if you’re keen. 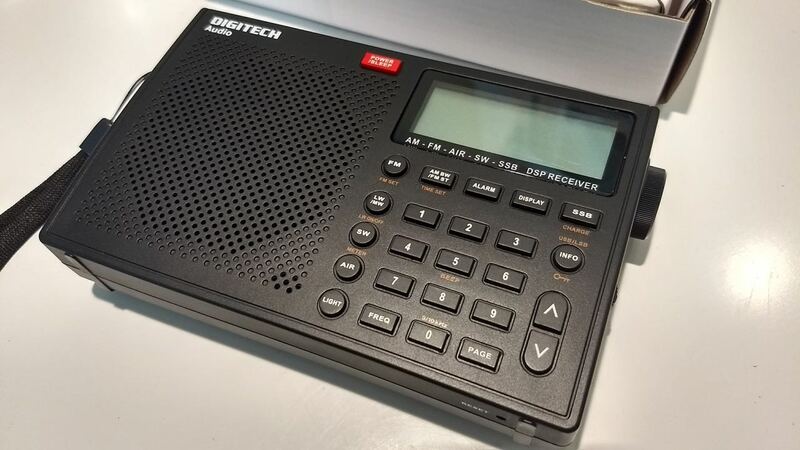 I’d been thinking about this radio since April’s new catalog showed it. At this price, it was a no-brainer; so I picked one up Oct 11th. Obviously, the crucial comparison will be this and C.Crane’s new SSB offering. 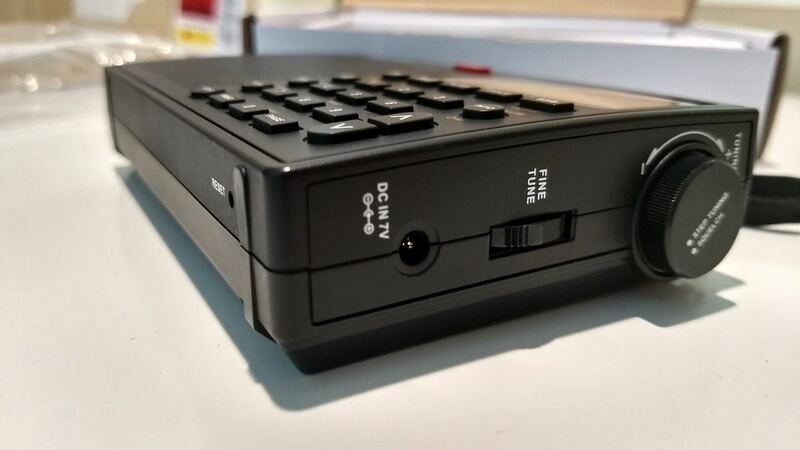 Whereas both previous models were built from the same mold (with the Skywave a clear winner), these companies seem to have gone in somewhat different directions. While C.Crane has simply modified the look by adding single-sideband, Digitech has added RDS, a larger speaker, ext antenna jack and other user-friendly refinements. Will C.Crane’s superior tech tweaks trump the AR-1780 add-ons? I’ll wait for this before plunking down the dollars. 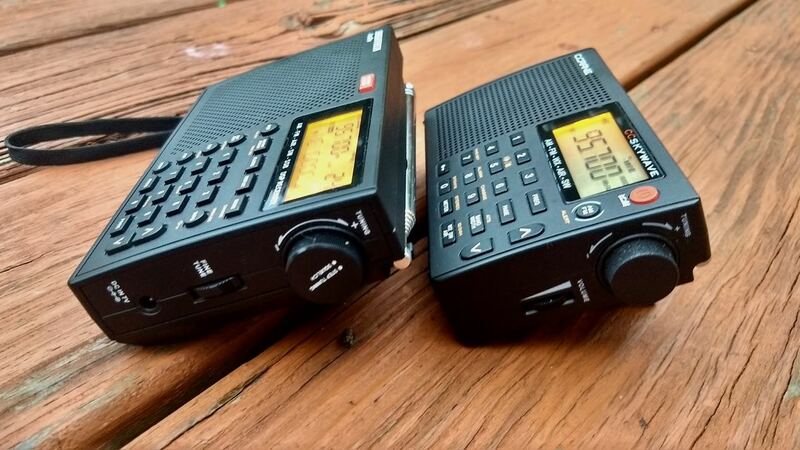 $170 for the new C Crane Skywave SSB! That may be the deciding factor, especially since I already have the current Skywave. Got one on order! Can’t wait till it arrives. I’ll review it for the ARDXC. Looks like it has a BFO hooray! Does the antenna jack work on long wave and AM broadcast? I’m assuming the 7V is due to the fact that the radio takes 4x AA batteries & it has the built-in ability to charge them. To do that with a 5V or 12V source, it would need a circuit to regulate that voltage. I’d lay odds it will function with a 5V source, just not charge the batteries. I’m sure you’re right about that. I suppose the lack of an extra voltage regulator may mean less internal noise when charging as well. So far, it sounds fine on FM, but I’m traveling and don’t have easy access to my benchmark FM stations. We’ll know soon. 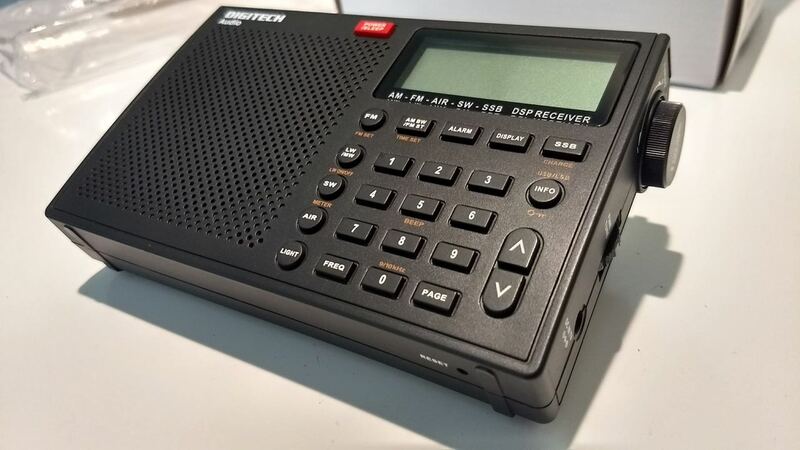 Thanks for the peek at this attractive radio…it’s already tempting me. Looking forward to your review! 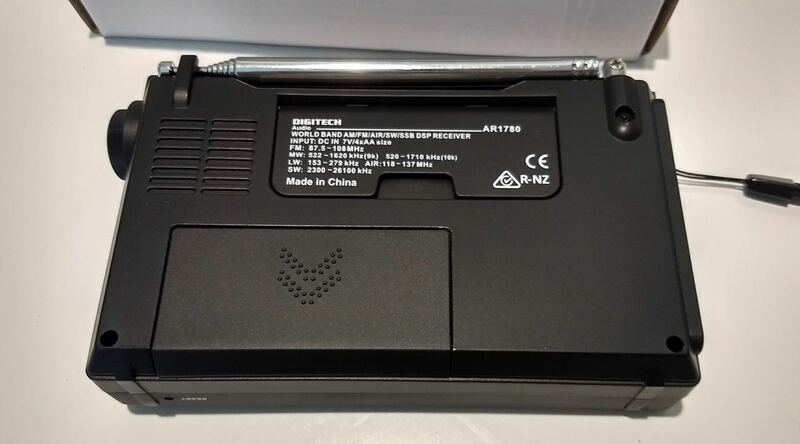 It is hard to understand why the manufacturers often use such unusual voltages of 7 Volts. 5 Volt will work on the most USB ports and 12 Volt anyway. That should actually be the standard. Apart from the quirky parts, things are looking good…so far. Indeed, Cap. I’m trying to keep my expectations in check. All positive so far, though. It even held its own in an RFI heavy environment last night. Also listened to a 40M QSO in LSB mode. Sounded great after I widened the SSB filter, in fact. Picked up a couple of benchmark MW stations last night too–one had some noise on top of it, but it was likely generated elsewhere.